Spread out 200,000,000 pcs of Ever Color 1day Series ! Since we launched Ever Color 1day in July 2011, it's been 8 years and its delivery accumulates more than 200 million pcs. 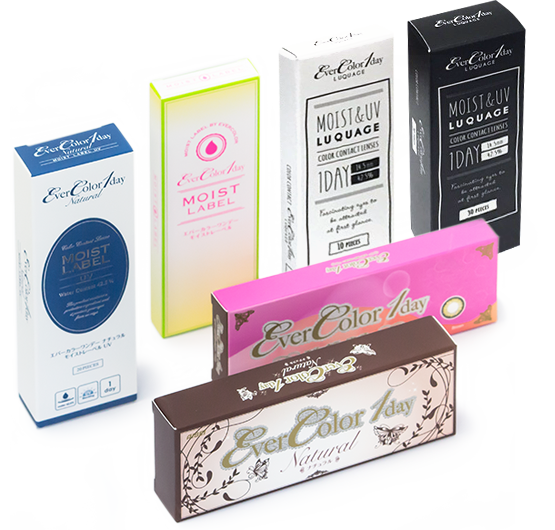 By receiving the supports from many ladies, it encourages us to produce more color contact lens, of which just fits to your eyes and becomes one of your favorites. Copyright (C) 2015 AISEI CO.LTD. All rights reserved.